Thanks to iPods, TiVo and other dubious miracles of modern technology, many moviegoers are content to wait before sampling even the biggest summer blockbusters. But when The Beatles released Sgt. 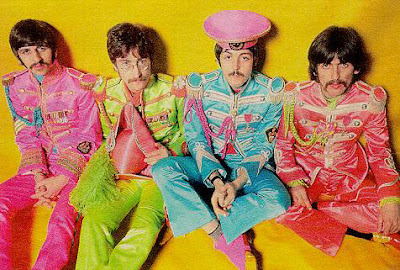 Pepper's Lonely Hearts Club Band 40 years ago today, millions of my generation came together as one to simultaneously experience the sound of innovation. The No. 1 album of all time can still dazzle fans -- and even impress the uninitiated -- according to Rafer Guzman of Newsday (even though Jon Wiener claims only one cut on the classic LP has an undiminished impact to astonish). And if you've always wanted to know what those lyrics really mean, check this out. Yes it does! It was a great experience.